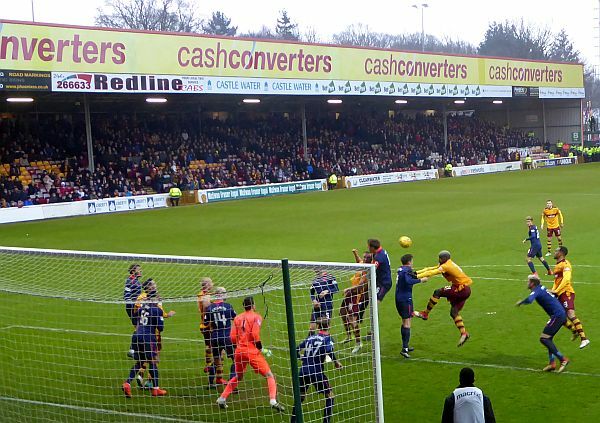 Motherwell return to action on Saturday when league leaders Hearts come to Fir Park. The Tynecastle side lost on both visits last season. Can we complete the hat-trick? Craig Levein, well on the way to recovering from his recent health scare, had a busy transfer window with a host of departures and 17 imports into this season’s squad. The renewal of the loan deal with Norwich City to secure the striker’s services for 2018/19 has already delivered seven goals and boosted their hopes for the season. Djoum may return to boost their midfield strength after a six month lay-off to repair his ankle. With wins against Hamilton, Celtic, Kilmarnock and St Mirren they face Motherwell clear at the top of the league. They have conceded only two goals in their impressive start. Memories of Carl McHugh’s blistering winner in the last meeting between the teams will bring a smile to the claret and amber half of the crowd and the temptation to scream “Shoot” if our number four is in possession within 30 yards of goal will be strong. It is likely that the manager will make use of his striking talents as in the last few games. Main and Johnson will start with Bowman and Sammon in reserve. Any combination of those four should keep Soutar and Dunne busy in the centre of the visiting defensive line. Of our four who were on international duty the only concern is a reported knock to Alan Campbell. Carson, Bigirimana and Cadden seem to have survived unscathed. With a big travelling support expected we can be assured of a big game atmosphere. Our players seem to raise their game for this type of contest and we can look forward to a tight contest. A 2-2 draw may satisfy both camps. Remember the last match v Hearts?